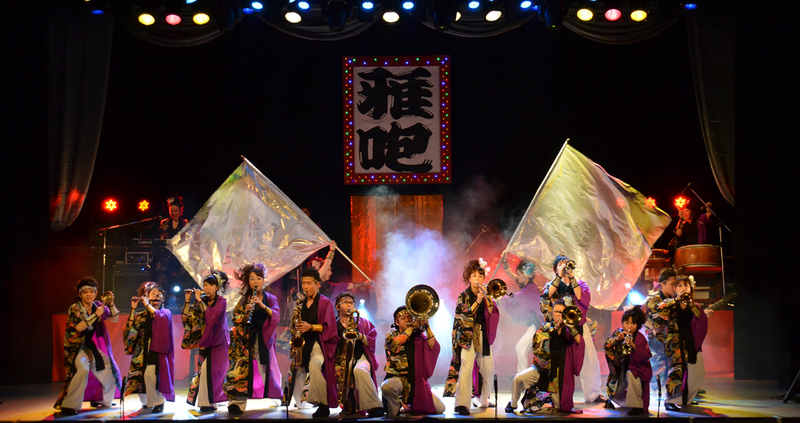 This brass performance show is comprised of Japanese folk songs arranged in a modern style to make you feel as if you are participating in a COOL Japanese festival, “MATSURI”. The energetic sound of BRASS and TAIKO drums is visually reconstructed with dance, flags, and KATANA action. It will make you feel energized! 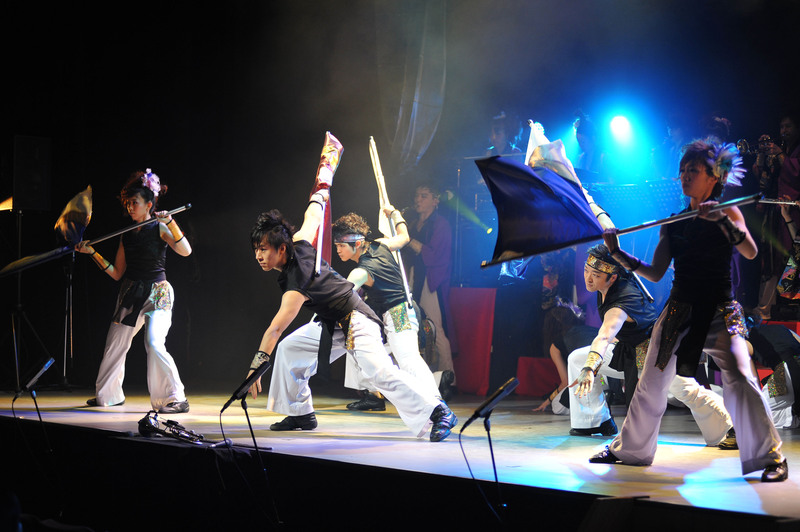 We, the CRAZY ANGEL COMPANY (hereafter, “CA”), developed our “sound performance” concept to create a fusion of brass/ dance/ rhythm flavors with a marching style base concept. One of our artistic themes is to express our music through visual and physical medious to make a unique experience. 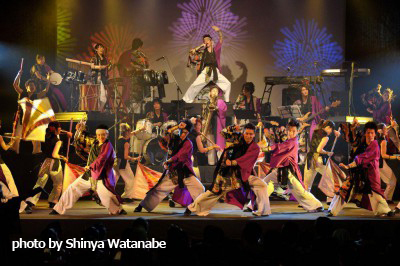 We can find “LIFE”, human vitality, through performance of various genres. And we want to tell our audiences about “LIFE”. 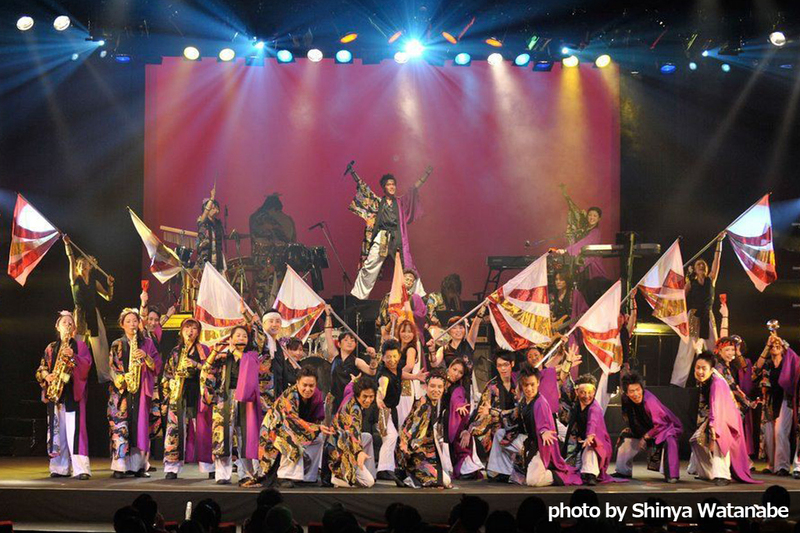 At first, we were established as “the CRAZY ANGEL Marching Ensemble and Drum Corps”. However, we hit the wall of the marching genre, unable to clearly express ourselves. Marching genre`s large-scale stage (field) could express general beauty, but it couldn’t express the subtleties of human nature and emotions. We are not only a “marching band”, so we changed the group name to “the CRAZY ANGEL COMPANY”. We’ve been developing our “sound performance” to try fusion of the brass/ dance/ rhythm/ sword action based on marching bands. And we play at the theater space. 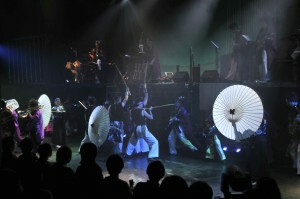 The reason is that audience will be able to feel more strongly “Life”, human vitality. Of course a theater space is closer to audience than a football field. 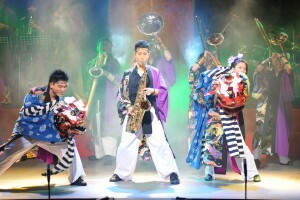 In addition, with the thing which I cannot regard as life and the body of the main theme a limit apart, energy of music expression and the body expression thinks that dynamism peculiar to CA is born in the place that fused.The music expresses various feelings, and the dance expresses feelings, too. We aim to arouse the actual human emotion to the maximum. It makes you really happy and exciting but also empower you. 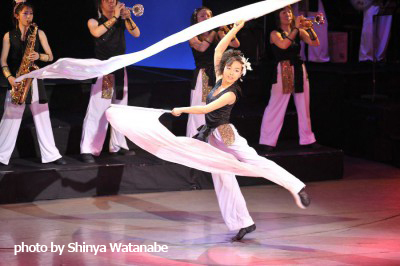 “雅咆”(GAHOU) this KANJI character means “Beautiful motion” (Elegance) and “Roaring” (Wildness). 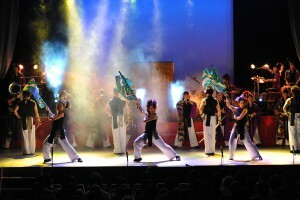 The title suggests the show is sometimes emotional, sometimes passionate. We adapted this show specifically for Fringe NYC. It’s called GAHOU international “SUNRISE”. 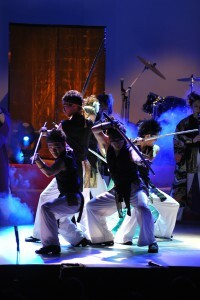 traditional and cool Japanese festival,　”MATSURI”. GAHOU is the most popular music show presented by the CRAZY ANGEL COMPANY and more than 10,000 people have seen this show since our performance in May 2007. We make the show for Fringe NYC. It’s called GAHOU international “SUNRISE”. 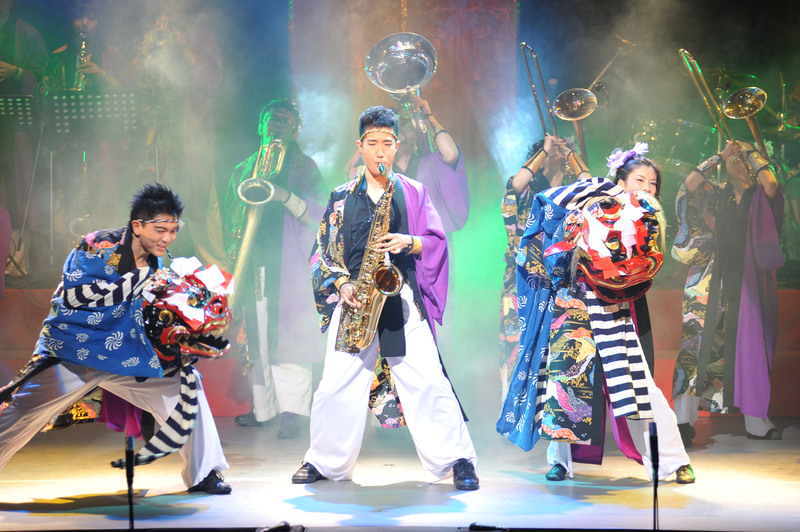 And you’ll find a new wave Brass Performance that originated in Japan.